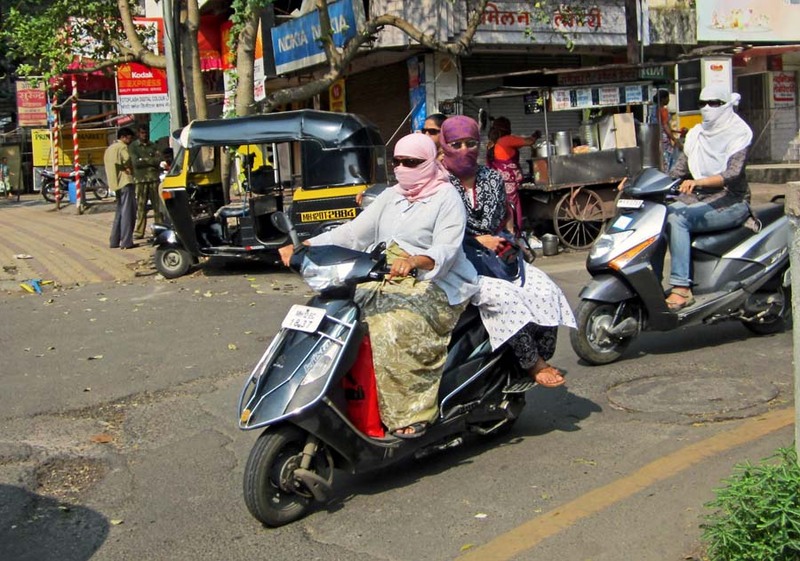 The masked women of Pune are an anomaly. They are modern, drive their own vehicles, work outside the home, and are well educated. Yet they tie a scarf which covers their face and hair. A visitor might think this is some sort of repression going on. 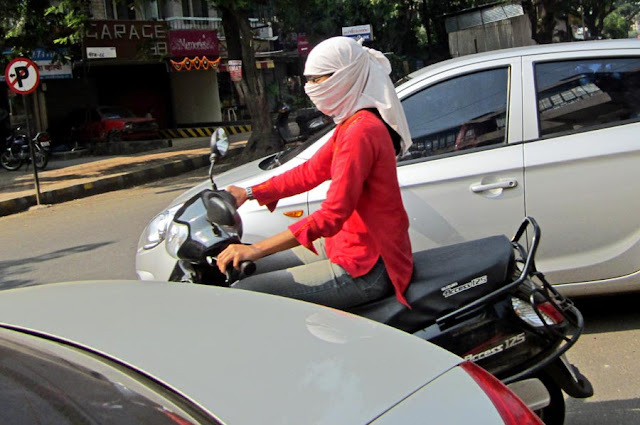 A gang of visiting Muslim girls from Kashmir asked one of the masked girls why they did this when they don't have to! Well, the answer was "Pollution!" 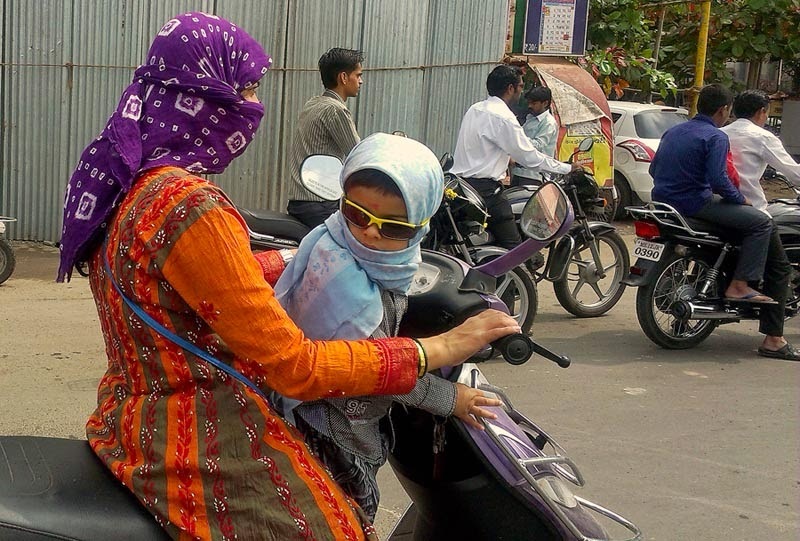 Pune air is polluted and the sun is harsh. Driving a two-wheeler on a regular basis spoils the hair not to mention the delicate facial skin. A young girl riding a scooter with a white scarf covering her face. 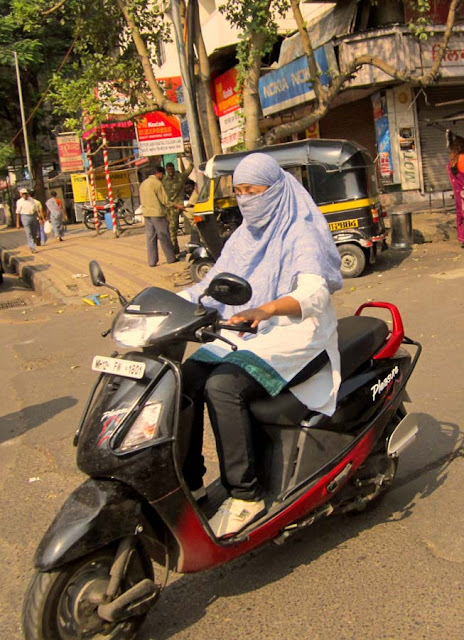 A young woman driving a scooter with a light blue scarf covering her face and head. And the kids are learning young to protect themselves against the elements! Here is a small child with a mask and goggles. A saree-clad woman in a pink mask and another woman in a salwar kameez riding double seat behind her, also in a mask, a purple scarf. Behind her is another jean clad young lady in a white scarf! Or you might also like other pictures on Indian Women.